First and foremost, I am loving that Shaun's mood seems to be on the upswing! Thank you, God! This move has made his meltdown and aggression issues sky rocket, and frankly, it has been the most mentally and physically exhausting thing to deal with. I'd say I was on the verge of pulling my hair out, but honestly, he was literally doing the job for me. He started his new school last week and I think that is definitely helping with the transition (though it's a huge transition in itself as his new class is much different than what we were used to in California!) His meltdowns have not gone away completely, but are slowly getting less intense. It's progress, and I'll take it!! I am also loving that the sun is shining. After dealing with rain and storms the last few days, I was more than ready for a little sunshine! I have a severe phobia of storms, so it's been a long few days! I will enjoy the sun while it lasts!! I am loving the new Summer Thirty-One catalog that started yesterday. There are a few new prints, plus an all new purse and it's all AMAZING! Personally, I am in love with Best Tweets and Minty Chip- can't wait to own more of it!! I also had an open house over the weekend, and despite the cold and threat of rain, I'd say it turned out very well!! I am loving that my new house is really coming along! Of course, I'm always going to be changing things around, but it feels mostly done...for now! I will post some photos in the next day or so, since this post is already going to be pretty full!! this link last month for Autism Awareness month, but time got away from me! Regardless, awareness is important beyond the month of April, so I will just share it with you now! And I absolutely LOVE my Mother's Day gift-As of yesterday, I am now a new consultant for Blessings Unlimited (Dayspring's direct sales company). 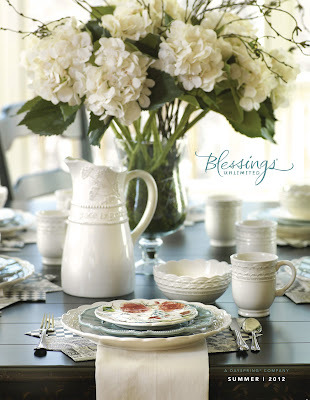 If you haven't heard of Blessings yet, feel free to check out my site here, you will fall in LOVE! Plus, there is an awesome sale going on- click shop and then 'sale' along the left! Great deals, perfect for Mother's Day, or stocking up on Christmas gifts;) Feel free to send me an e-mail if you have any questions about it!! 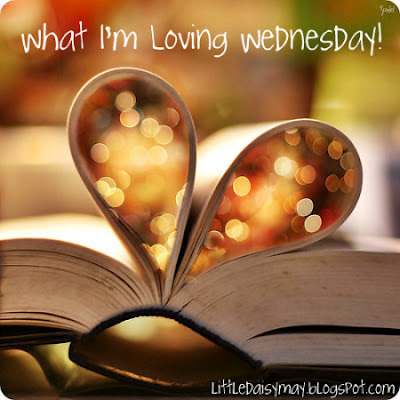 Hope everyone has a great Wednesday!! I've been considering becoming a blessings unlimited consultant myself....just haven't made a final decision yet. Glad that Shaun is settling in a bit more. 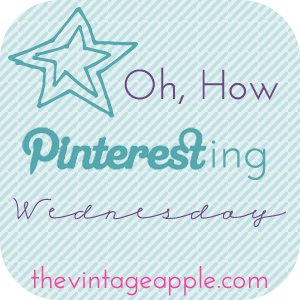 I am loving all the amazing things on Pinterest too! What did we do without it? My husband would say . . . laundry! Shabby apple should be e-mailing you soon with your gift certificate! mmmm those cupcakes look divine. luckily I just made banana bread otherwise I would have to make some treats after seeing those. Hi I found you through the Mom blog Monday hop. What a great list of things. And congrats on the job!